From our base on the Gloucestershire/Herefordshire border we design, create and maintain mostly private gardens with a proven track record stretching back over 25 years. Skilled in all aspects of design, construction and maintenance, we offer a competent, friendly service, and we pride ourselves on tidy working. Creating gardens is our passion, motivated by our desire to ensure complete client satisfaction with our work. We employ the necessary skills to carry out all work ourselves, thus ensuring complete control over the high standards we set. Many of our projects are carried out within the counties of Gloucestershire, Herefordshire and Worcestershire, but we are happy to travel to wherever our services are required. Its probably easier to answer the question what dont we do! If its between the front door and the garden gate we probably have it covered. If you take a look through our website you should get a good idea about the services we offer. 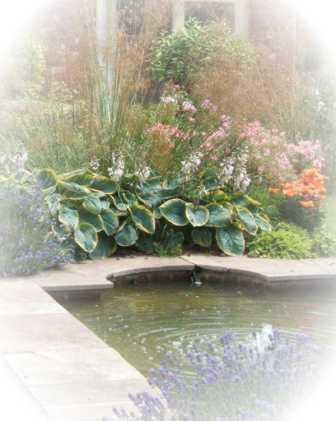 Water gardening is one of our particular specialities. 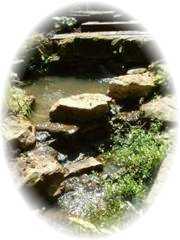 Building waterfalls, streams and ponds we will work with rocks, usually sourced by us direct from the quarry, to create natural features that blend with the landscape. With our experience and knowledge of working with water we are often called in to try and resolve all manner of pond problems from design issues to leaking liners. When it comes to paving and walling we will produce results in any shape required! We are just as happy working with curves as we are straight lines. To complement our hard landscaping skills, we also have knowledgable and trained plantsmen in our team, able to plant up and advise on all aspects of gardening. Our maintenance team can keep your garden in shape, leaving you time to enjoy it. The largest proportion of our work comes from personal recommendation and repeat business from previous clients. Although a lot of our work is in private gardens we also undertake work in the commercial sector and for local authorities. Take a look at what people say about us and read some of the comments we have received.